When a lift gate hold open device is being removed or installed, provide alternate support to avoid the possibility of damage to the vehicle or personal injury. 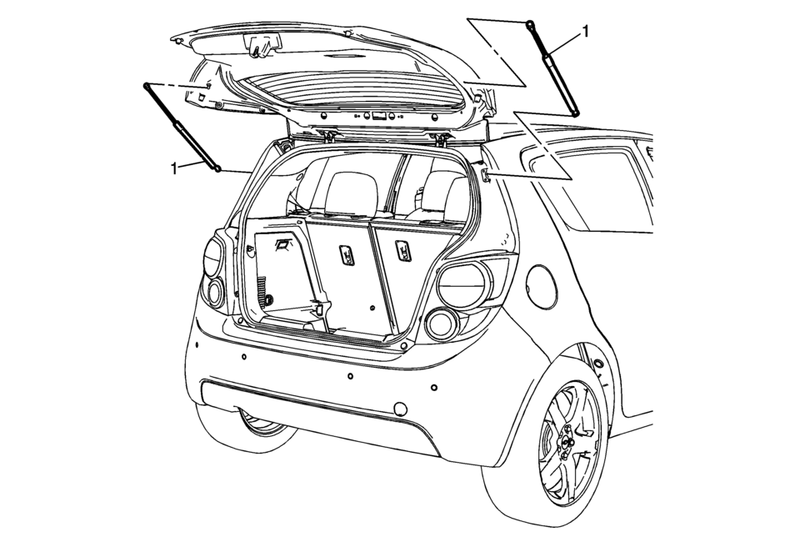 Apply pressure only at the end of the liftgate/hood assist rod that you are removing or attaching. Do NOT apply pressure to the middle of the rod because damage or bending will result. Release the locking tabs on the strut. Ensure the clip is fully seated when the strut is reinstalled. If the clip cannot be fully seated, a new strut should be installed.